Welcome to the 253rd Inspire Me Tuesday. Seems like everyone is in a cleaning, purging, organizing and remodeling mood. I love seeing everything that you guys are up too. 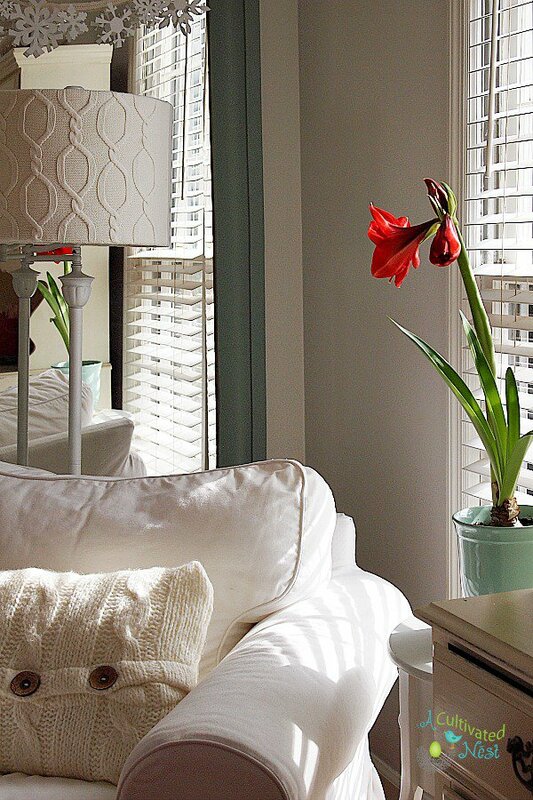 A Cultivated Nest shares a tutorial for how to cover a lampshade with a sweater. Isn't this a fabulous look!!! CD's Country Living has been in a purging and organizing frame of mind before starting a full kitchen remodel. I love how she's repurposed this antique shutter for some of her kitchen accessories. My Salvaged Treasures hit this little craft project out of the ball park. Every wonder what to do with a screen? 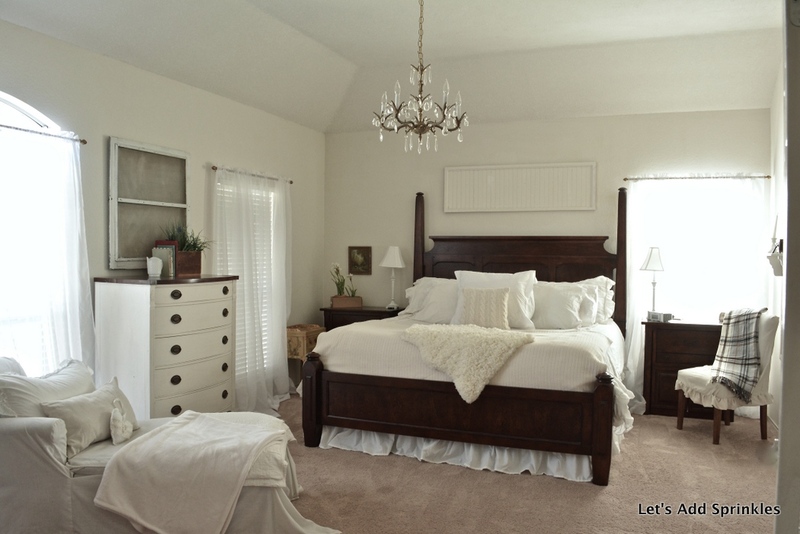 The Heathered Nest created a room makeover that you have to go see to believe. 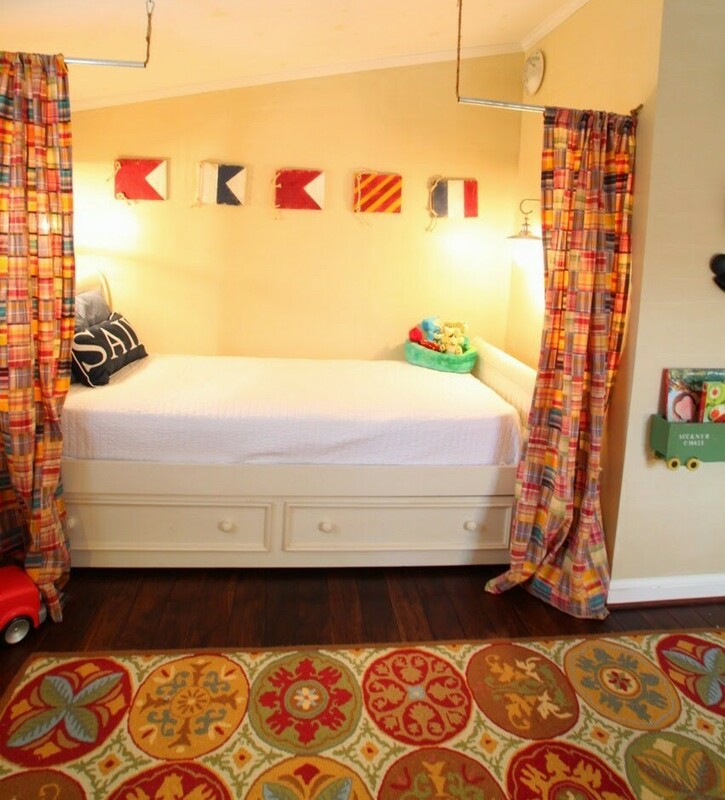 I love, love, love this nautical nook. Let's Add Sprinkles has a gorgeous new room with the removal of the popcorn ceiling and some fresh white paint. I'm sure we've all seen these accordion door bread boxes, but not like the makeoer Home Chic Club did to hers. How pretty is this. 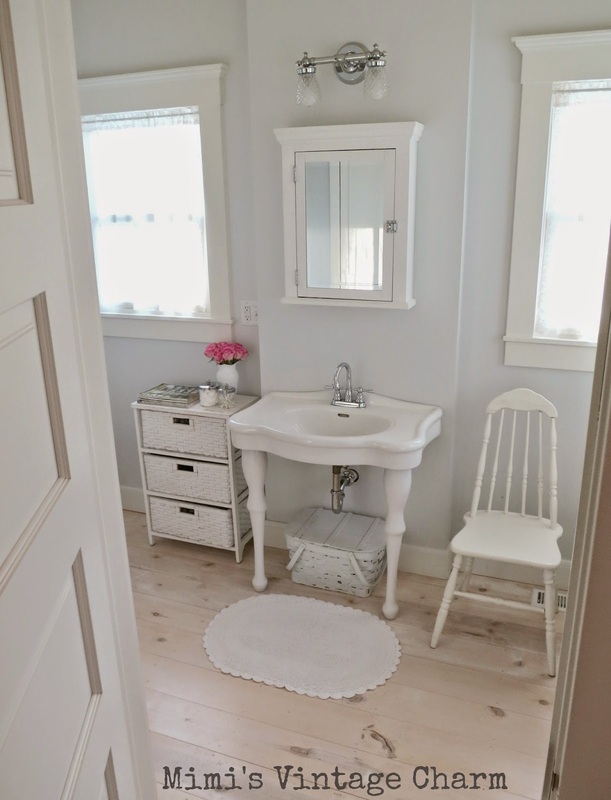 Mimi's Vintage Charm shared her stunning master bath. This space is definitely full of CHARM. 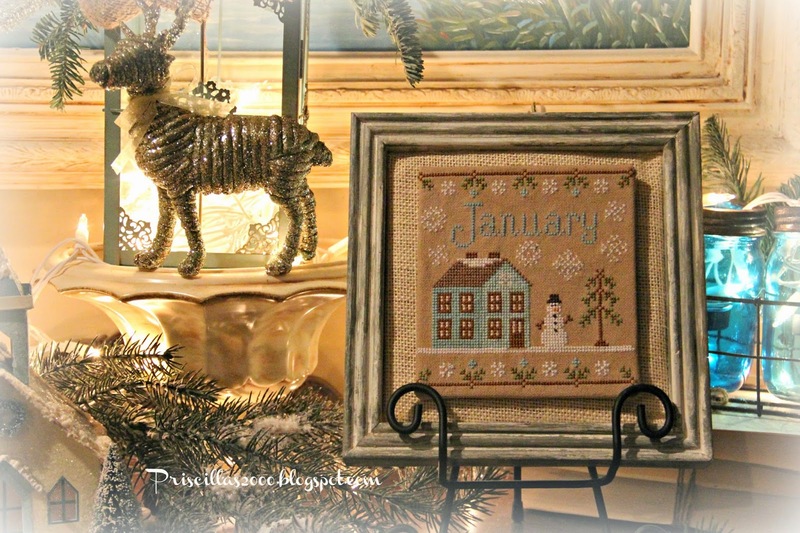 Priscillas creates the most wonderful needlework pieces and I adore how she displays them. She has some fabulous ones to see this week and her vigettes are awesome. I love a girl that's not afraid of color and Amy at The Little Farm Diary loves lots of color. How fun is this fabulous dining area. Hi Marty! Great features, how fun to see everybody's different styles. Thanks so much for hosting and have a great week. What great inspiration for this cold, wintry night - thank you, Marty for yet another weekly party! Thank you so much for featuring my post this week! Love all the features! Beautiful features, Marty. I'm especially wowed by the lampshade! Thank you for hosting this fun party, and I hope you have a great week! I am loving your features....thanks so much for hosting this great party. Thank you, Marty for featuring our Master Bedroom. Removing the popcorn was not fun but it was so worth it. I'm glad you agree. Have a wonderful week. Thanks for hosting. Beautiful features Marty...thanks so much for hosting!! Oh that dining area - and that bathroom !!! Lamp and matching cushion just perfect. Thanks for hosting Marty and hope your week is absolutely wonderful! Thanks for the party!! :) Have a great week, Marty! Thanks for the party, Marty. I am late again. My blog rol said you posted this 1 minute ago!!! It is 6:56 PM!!! Oh dear. Have a great week!!! thanks so much for having us over to party! Have a great week! Hi Marty! What a great party! You have such a great attendance! Thanks for hosting each week. Thanks for the party Marty! So much fun. Great links. What a cute DIY to create or beautify the lampshade via a sweater . I also really enjoy the beautiful bathroom post. Thank you for sharing and for hosting the link up. Thanks so much for the party Marty and for featuring my stenciled window screen. Happy new week to you. Thanks for hosting Marty! I love this party! fab features Marty! thanks for hosting! Thanks so much for the feature at your fabulous party ! Hello Marty, thanks so much for this wonderful party. I'm so happy to be here. AMAZING features this week! Can't wait to read them all. Have a great week and THANKS for hosting, Marty! and those colourful chairs in the last photo too! Hi Marty! Thank you for hosting your party and hope you're doing well. Thanks for the Party this week Marty. It was fun to join in. 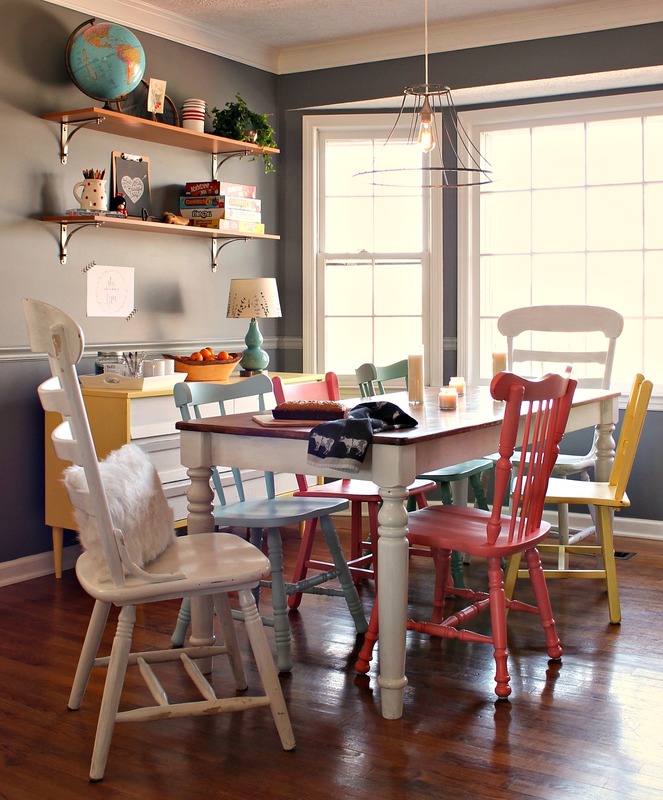 Marty, I just cannot thank you enough for featuring our color-full dining room! Such an honor! I like the sweater covered lampshade. How cozy! Thanks for hosting! There's always so much to see at your parties, Marty....I was able to add a few this week to make your party even merrier! Thanks for hosting, have a great week! My goodness this month it's still so busy for me, that's why I'm so late to the party. Thank you so much sweet lady for hosting. Thank you so much for the party, Marty! Hi Marty, Thanks so much for featuring my sweater covered lampshade!! Totally made my day! I'm 'over the moon' excited that you featured my vintage shutter, Marti!!! What an amazing honor! Thank you so much! Have a great week! I love all your features especially that vintage typewriter, Thanks for hosting this awesome party !